So you are a SAMSUNG GALAXY J3 user but you didn’t buy Galaxy J3 unlocked because you bought your phone from at&t network carrier and now you’re bored by being bound to that network carrier, and need your freedom to select any network any where, you’re on the proper vicinity. We are able to proudly say that now you can get your SAMSUNG J3 unlocked permanently with us without problems. We present to you the most low cost and fast unlocking, and our costs cant be beaten. The first-class solution to get SAMSUNG GALAXY J3 unlocked is by means of sim unlock code for samsung. Each cellphone has a 15 digit unique set of numeric digits called imei # and by means of giving us imei # you can get unlock code for SAMSUNG GALAXY J3. By putting that code into your phone you will get your SAMSUNG GALAXY J3 sim unlocked. How To Order Network Unlock Code For Galaxy J3? Ordering unlock code is a simple clean process. All you need to do is select the network your phone is locked on, give imei # of your SAMSUNG GALAXY J3 and your e-mail address and press the purchase now button. In the time stated we will send you your unlock code. How To Find IMEI Of SAMSUNG J3? You can find IMEI # of your GALAXY J3 by dialing *#06#. We have discussed details about how to find IMEI number of your phone here. How To Enter J3 Unlock Code? All you have to do is turn your SAMSUNG GALAXY J3 off and put a non accepted sim in your SAMSUNG GALAXY J3, after turning your SAMSUNG GALAXY J3 on, your SAMSUNG GALAXY J3 will ask for network unlock pin. Just enter network unlock code and your SAMSUNG GALAXY J3 will be unlocked. What Are The Benefits Of Unlocked SAMSUNG GALAXY J3? Benefits of unlocking your SAMSUNG GALAXY J3 are phenomenal. You get to choose your network again and again without any restriction and you can use your SAMSUNG GALAXY J3 any where in the world without giving roaming charges, just gotta change the sim. Further we have discussed benefits of unlocking your phone here. What Are The Risks Involved In Unlocking GALAXY J3? There are no risks involved of damaging your SAMSUNG GALAXY J3 or compromising your data in whole unlocking purpose.You wont loose any feature or functionality. We have further discussed risks involved in unlocking process here. 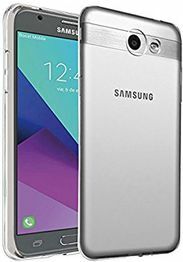 Why Unlock SAMSUNG GALAXY J3 With LetsUnlockPhone.com? Other than providing you with first class unlocking service,here at LetsUnlockPhone.com we ensure you the best and friendly costumer service and 100% money back guaranty. We are specialists when it comes to unlocking any phone with unlock code (such as at&t, Cricket, rogers, sasktel, bell, telus etc) whether you have phone from USA (like at&t, Cricket, etc) or or Canada (rogers, fido, bell, telus, sasktel, koodoo, videotron, etc). Kindly, order the unlocking service of network your SAMSUNG GALAXY J3 is currently locked on. We don’t unlock security lock on at&t or other phones, we only unlock sim network lock imposed by at&t or other networks (like Cricket, rogers, sasktel, bell, telus etc) on your device. You can check specs of Galaxy J3 here.